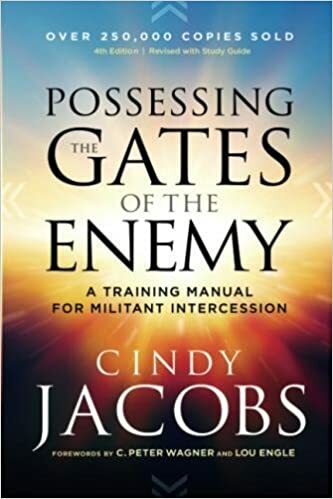 In Possessing the Gates of the Enemy, Cindy Jacobs explored the topic of prayer and how we can be intercessors for the Kingdom of God. She has rereleased this book as a fourth edition with updated content geared towards helping the new generation. Cindy Jacobs believes in the power of prayer and she is committed to praying regularly. She strongly believes Genesis 22:17-18 which discuss how God has said He would bless you and multiply our seed and we would possess the land of the enemy. And God said He would bless us and all the nations of the earth if we obey His voice. Throughout the book, she shared stories about how prayers saved people’s lives and has changed their circumstances. She also went into great detail about how the power of agreement and a very helpful sample prayer that you can pray with your friend. She explored the topic of binding and loosing satan and how we can seek freedom from his schemes. It was also beneficial that she discussed the different types of strongholds and how we can recognize when satan is trying to gain power and influence over our lives. I would recommend this amazing book to anyone who is ready to learn how to pray for others and how the power of intercession can change things. God will listen to us when we pray and when we come into agreement with others. This book is a guide to believers in learning how to actively pray and it will help readers to see if they have the gift of intercession. I really enjoyed the topics of the language of intercession, prophetic intercession, intercessory praise, corporate intercession, and reforming nations. I really connected with the discussion of joy and laughter and how we can use these tactics towards satan and his schemes. As we all know, the nation and the world needs our prayers and we can learn how to pray prayers that will make a difference. If you’re seeking an excellent book on the power of intercession, then read this book! In Live Fearless, Sadie Robertson explored the topic of fear and how we can live courageously through whatever we may encounter. Sadie opened up about her life and how she was once very excited about being asked to be on Dancing with the Stars. They said they choose someone else who was close to her age already. Two days later, they changed their minds and they still wanted her but she would be a week behind everyone else. Sadie admitted that she was so afraid that she considered backing out of Dancing with the Stars. Her little sister eventually encouraged her by asking her if she was listening to fear or was she listening to herself. Sadie also had never danced in her life before the show and she was afraid of what people would think about her dancing. She eventually decided to complete on the show and she went on place second in the competition. She also shared about her experiences with being asked to Winter Jam and how she didn’t wanted to and her mom helped to talk her into in it. Sadie was afraid of public speaking and she had experienced extreme anxiety. She did a question and answer session with the founder of the event, Eddie Carswell. On the eighth day, after asking God to remove the power of fear over her life, she had freedom and peace about speaking. She decided to speak alone for the first time. I would recommend this life changing book to anyone who is living with fear in their life. This is an awesome book to teenagers and college aged students. I would also recommend it to adults too! I really do believe Sadie Robertson is a Christian teen trendsetter. Her book contained numerous scripture verses to encourage believers. I really liked how she included a special section at the end of the book of some of the verses. She also had prayers included in each chapters to help readers in their spiritual journey. I can see that she experienced great fear in her life and she relied on God to help her get through her different fears. I loved the story of the “plankton” and how even the lowest creatures of the ocean have a purpose in life. 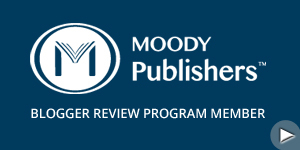 Many readers will be encouraged by how Sadie describes what we can learn from planktons. If you’re looking for a new book about living fearless, then read this one!